How hostels can help you find a job in New Zealand. 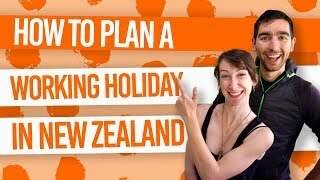 In New Zealand on a working holiday visa? Want to do some seasonal work to increase your funds for your next leg of travel? Want to live with like-minded travellers for a while? Then staying in a working hostel in New Zealand might just be for you! 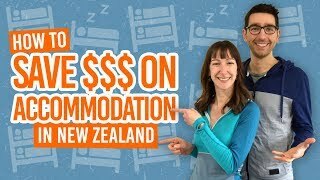 While some backpacker hostels in New Zealand offer a cheap place to crash for the night, other backpacker hostels known as “working hostels” offer weekly rates on accommodation for those backpackers working in the area. What’s more, many of these working hostels in New Zealand can assist you in finding a job! In this article, we’ll go over the type of help working hostels can offer for finding a seasonal job, as well as telling you what to expect when living in a working hostel. Working hostels often organise social events like quiz nights, potluck dinners, etc. For more information on living in a hostel, check out What it’s Like to be a Long-Termer in a Hostel. Working hostels usually work with local employers by putting them in contact with potential employees (that’s you!). While most working hostels only work with companies in the horticulture and viticulture industries, others may work with employers in construction, factory work, hospitality and landscaping. When using a working hostel in New Zealand to help you find a job, there are few conditions you need to be aware of, as well as what the work entails. This is almost always a free service under the condition that you stay in that working hostel. Some hostels may require you to stay in the hostel for the duration of your employment. Working hostels cannot guarantee you a job. It depends on what sort of work is available. Working hostels usually work on a first-come-first-served basis. Employers usually prefer a commitment to the job for around six to eight weeks. Fruit picking work is very weather dependent, so consistent work cannot be guaranteed. For example, in kiwifruit picking, the sugar has to be at a certain level before picking which is effected by rain. So in some cases you might only get work for a couple of days a week. That being said, there will be the opportunity to catch up on this work in the following weeks. Because some hostels organise car-pooling (sharing a car) to work, having a car is likely to be an advantage for the hostel to find you a job faster! The term “working hostel” is not to be confused with “working in a hostel”. Working hostels are usually resided with backpackers who are working locally, paying weekly rates to stay long-term. On the other hand, “working in a hostel” usually means when a backpacker works in the hostel for cheaper weekly fees or in exchange for free accommodation. Working hostels may also offer work for accommodation or “WWOOFing” as an opportunity, so that could be worth inquiring about. For more information on working in a hostel in exchange for accommodation, take a look at How to Find Work for Accommodation in New Zealand. It’s also important to know that you are working for accommodation legally, so take a look at What Visa Do You Need to WWOOF in New Zealand. Because working hostels are usually associated with fruit orchard and vineyard work, you are most likely to find working hostels in regions with a large horticulture industry. In turn, these hostels will be situated in the main cities of that region. Take a look at Picking Seasons in New Zealand to get an idea of what horticulture work is in demand in each region. Simply contact your desired working hostel and see what sort of help the hostel can offer! The sort of help offered by working hostels ranges from putting you in contact with local horticulture employers to solely offering weekly rates on rooms. Ask the working hostel what kind of help they can offer so that you don’t get any nasty surprises! From there, you’ll book a bed with the working hostel and let the job finding process begin! Remember to have a look at our Job Listings!